Are you ready for the new season of Brooklyn Nine-Nine? NBC has just announced the TV show’s season six debut alongside the premiere date for the new series The Titan Games. Hosted by Dwayne Johnson, The Titan Games pits competitors against each other as they “push their bodies to the limit by battling opponents in unforgiving head-to-head challenges.” The series debuts on January 3rd at 8 p.m. ET/PT. Season six of Brooklyn Nine-Nine premieres on NBC on January 10th at 9 p.m. ET/PT. Meanwhile, season four of Superstore will return in March, The Good Place is moving to Thursdays at 9:30 p.m. ET/PT starting January 10th, and Will & Grace will shift to Thursdays at 9:30 p.m. ET/PT starting January 31st . · NBC is shifting the premiere of Dwayne Johnson’s new athletic competition series “The Titan Games” to Thursday, Jan. 3 from 8-10 p.m. ET/PT. The series will air in its regular timeslot on Thursdays from 8-9 p.m. beginning Jan. 10. · The move of “The Titan Games” to Thursday keeps NBC’s highly successful all-“Chicago” Wednesday lineup intact. · “Brooklyn Nine-Nine” will premiere Thursday, Jan. 10 at 9 p.m. and air weekly in that timeslot. · “The Good Place” will shift to 9:30 p.m. beginning Thursday, Jan. 10 and air in that timeslot through its season finale on Jan. 24. · “Will & Grace” will move to 9:30 p.m. beginning Thursday, Jan. 31. · “Superstore” will be pre-empted before returning in March when the 8-10 p.m. two-hour comedy block returns with all original programming. · “I Feel Bad,” which was always intended as a 13-episode season because a pair of upcoming comedies still need to be scheduled (“Abby’s,” “A.P. Bio”), will conclude in December. A decision on its future will be determined at a later date. What do you think? Are you a fan of Brooklyn Nine-Nine? Will you check out The Titan Games? 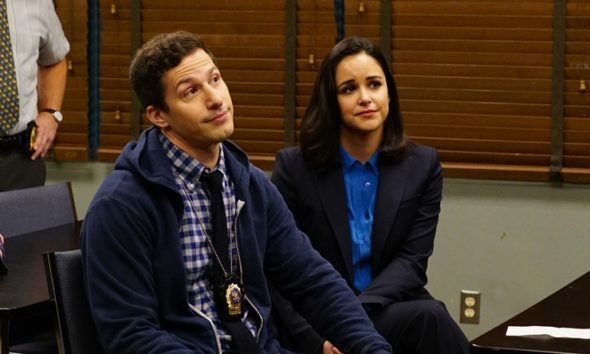 More about: Brooklyn Nine-Nine, Brooklyn Nine-Nine: canceled or renewed?, NBC TV shows: canceled or renewed?, Superstore, Superstore: canceled or renewed?, The Titan Games, The Titan Games: canceled or renewed? The Titan Games Is the NBC TV Series Cancelled or Renewed for Season Two?